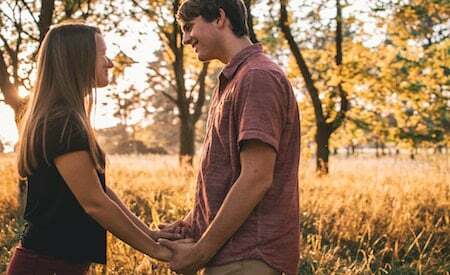 Can A Rebound Relationship Work Out In The End? I was recently speaking to one of my clients who asked me a question that I often hear. Rachel is trying to get her ex back but he’s dating someone new. It’s common knowledge that most rebound relationships are very short lived, but what about the exceptions to the rule? Can a rebound relationship work out in the end? What are the indicators that the relationship is actually going to work out? Many people wonder if their exes are going to stay together with the new person they’re dating, but then other people wonder if the new relationship they’ve begun with another person could withstand the test of time even if it began as a rebound relationship. In today’s article, I’m going to go over what a rebound relationship actually is and why some people feel they need them, but I’m also going to help you determine whether or not your ex’s new relationship has what it takes to last! A rebound relationship is one that begins shortly after a breakup and is used as a bandaid to mask the pain a person feels at the end of a relationship. The emotions that follow a breakup are intense for both people involved. Many people make the mistake of assuming that only the person who got broken up with suffers, but the truth of the matter is that the person who made the decision to leave usually also feels awful. They can be filled with doubts about their decision, and guilt about the pain they’ve caused their ex. An easy fix for a lot of people comes in the form of rebound relationships. 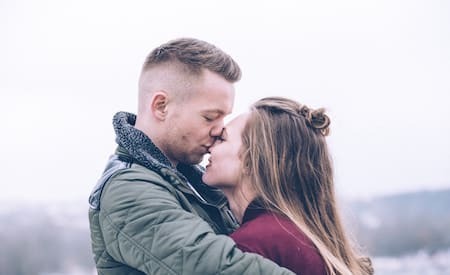 Dating someone new helps to distract them from the negative feelings they’re experiencing, but these relationships usually don’t last very long. They’re convenient and are often rushed into because a person wants to escape the heartache they’re experiencing. It’s not uncommon for a person to feel that they need to start dating someone else right after a breakup… But why? Well the answer to the question of why an ex might feel they need to be with someone, even if it’s clearly just a rebound relationship, is that they’re afraid, and it helps them to stop missing their ex. The rebound relationship success rates are very low, and they almost always serve as a misguided attempt by your ex to get over you. This means that they still have serious feelings for you, and it can actually be used to your advantage. Once the novelty of the rebound relationship wears off, your ex will see things much more clearly. A person in a rebound relationship can also be experiencing fear of being alone and the realization that they actually don’t know how to be alone, so they settle for the easiest opportunity that presents itself. They can be afraid of how much they feel for you and how much pain they’re feeling because of your break up… The list goes on and on. It is not uncommon for a person to be ashamed that they’re in a rebound relationship. They know that it’s nothing genuine and they’re basically using someone in order to not have to be alone. That said, sometimes people don’t realize this until some time has passed, and in rare cases, the rebound relationship can actually turn into something serious. If you’re reading this article chances are that you’re trying get your ex back out of the arms of someone new. So first things first, we need to determine whether or not he or she is actually in a rebound relationship! Is my ex in a rebound relationship? The easiest way to determine whether or not your ex’s new relationship is a rebound is to take a look at when exactly it began. Was it within a few weeks following your breakup? Feelings don’t just evaporate after a breakup and if your ex is already dating someone new after just a few few weeks or maybe even a month or two, chances are that they’re trying to keep their mind busy by being on the rebound. A lot of people ask me how long do rebound relationships last, and the truth is that is varies for everyone. Typically, a rebound relationship doesn’t last longer than a few months maximum… That said, the longer they’ve been together, the less likely it is that it’s a rebound. Another way to gauge whether your ex is on the rebound after breakup is by taking a look at the actual person they’re dating. Are they the complete opposite of you? Sometimes an ex tries to overcompensate for the pain they’re feeling by finding someone that is nothing like you. They figure that the best way to get over you would be to go out with your polar opposite. They could also be thinking that if the relationship didn’t work with you, then it would surely work with someone that has nothing in common with you. Either way, they’re using this person to get over you and that would mean the relationship is a rebound, which means that they are still feeling a lot for you! Is he the one? 10 signs to help you know for sure! Lastly, keep an eye out for how your ex is presenting this new relationship. Are they rubbing it in your face or posting it all over social media? If the relationship is really serious, your ex would feel less inclined to shout it from the rooftops as if they were trying to prove that they’ve happily moved on already. As I was saying above, the success rates of rebound relationships is quite low. A relationship that buds under such circumstances sit on a weak foundation, so chances of it developing into anything are slim. In order to be able to fully invest and nurture a new relationship, you have to heal from your last breakup and feel whole. The few weeks following a breakup aren’t enough to do this, so stepping into a new relationship at this time isn’t ideal if you want to make things last. Yes, there are rare cases in which a rebound can turn into something serious, but it’s not something that happens often. So even if your ex is dating someone new, don’t panic! Oftentimes the disappointment that follows a rebound relationship highlights what your ex loved and misses about their relationship with you. If you want your ex back, the most important thing you can do is begin working on attracting them back into your life. For in-depth information on how to get them back, click here! Instead of fixating on the situation and spending all your time working on understanding rebound relationships, switch your focus to becoming the absolute best version of yourself. As always, we are always here to help. Don’t hesitate to leave any questions in the comments section below!